Case Study - American Honda Motor Co., Inc. 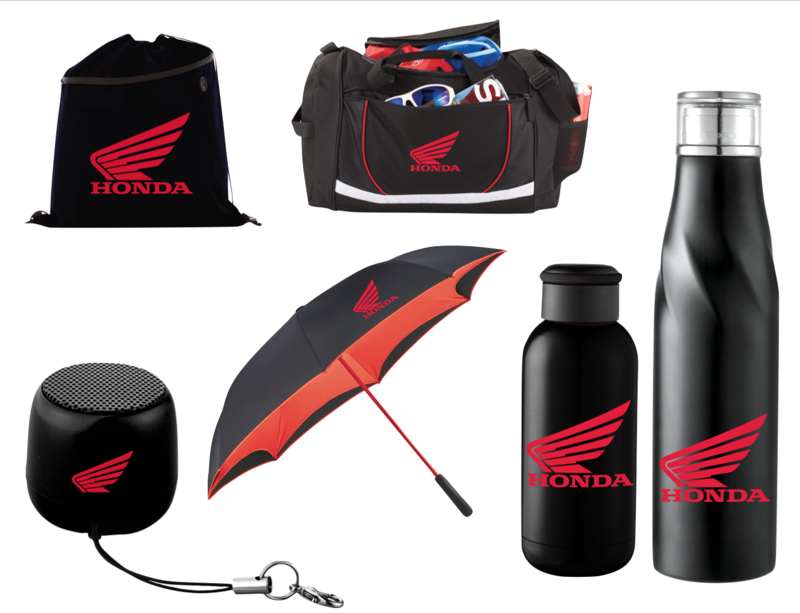 When it comes to promotional products, American Honda Motor Co., Inc. always puts their best foot forward with high quality items that match their well-recognized brand. Wearable Imaging recently produced several creative ideas for them, including a reversible umbrella, mini bluetooth speaker, duffle bag, cinch sack and a variety of different mugs and tumblers. We are honored to work with several different divisions at American Honda Motor Co., Inc. and look forward to continuing to help them represent their brand with functional and unique items in the future.